With a very weak trough of low persisting in south west bay, coastal districts especially in south Tamil Nadu will experience partly cloudy skies and warm winter conditions will continue to prevail across the plains of south India. Isolated places in south coastal TN will experience an occasional drizzle at one or two places.Meanwhile, in the north parts of India fog situation likely to persist for a few more days, with dense to very dense fog likely in isolated parts Odisha and Bihar and moderate fog will persist across the northern plains and Gangetic west Bengal. 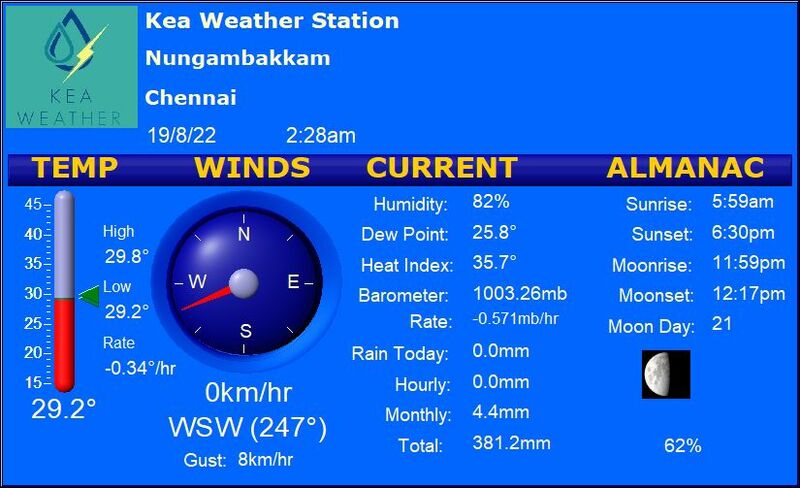 Chennai continues to enjoy the fair weather with maximum and minimum settling close to 31C and 22 C respectively. Vellore to stay comfortable with maximum and minimum temperatures around 30C and 19 C.